What is Blatjang? Blatjang or fruit sauce is a versatile staple to any kitchen and is a thick sauce that contains fruits, vinegar, sugar, and spices and is used as a condiment. 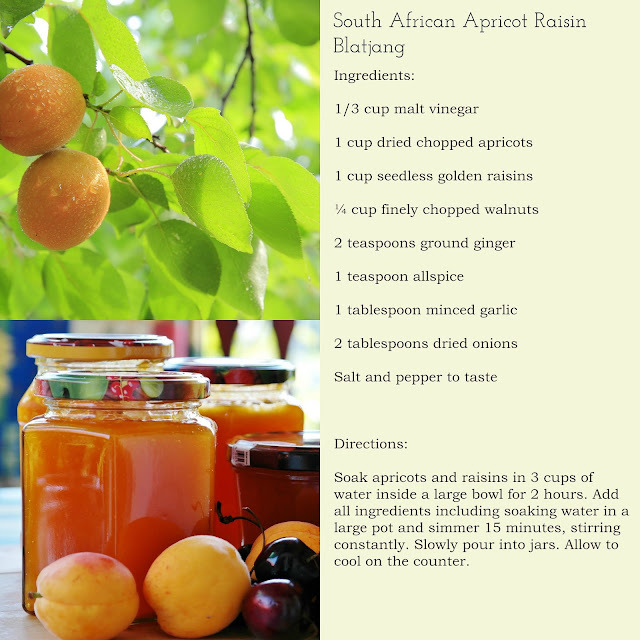 Apricot Raisin Blatjang is a traditional South African fruit sauce recipe made from apricots, onion, garlic, and raisins. Make and share this simple fruit sauce blatjang recipe with love from South Africa. Soak apricots and raisins in 3 cups of water inside a large bowl for 2 hours. Add all ingredients including soaking water in a large pot and simmer 15 minutes, stirring constantly. Slowly pour into jars. 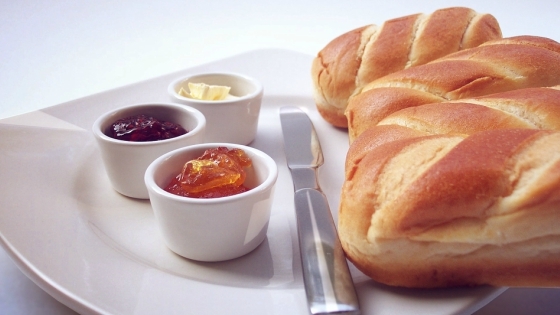 Allow cooling on the counter.